(Andover, Mass.) 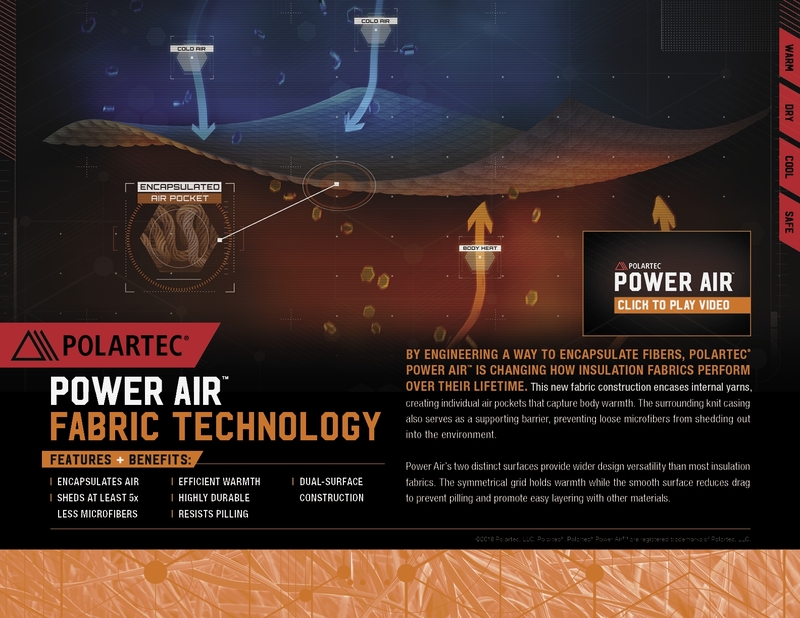 - November 28, 2018 - Polartec, the premium provider of innovative and sustainable textile solutions, announces Polartec® Power Air™, the first fabric technology engineered to reduce fiber shedding. By encapsulating lofted fibers within a multilayer, continuous yarn fabric construction, this revolutionary new platform offers advanced thermal efficiency that is proven to shed five times less than other premium ‘mid-layer’ weight fabrics. While creating a more environmentally sound construction was the initial inspiration for Power Air, the innovation also enables greater design versatility, with distinctive visual signatures. 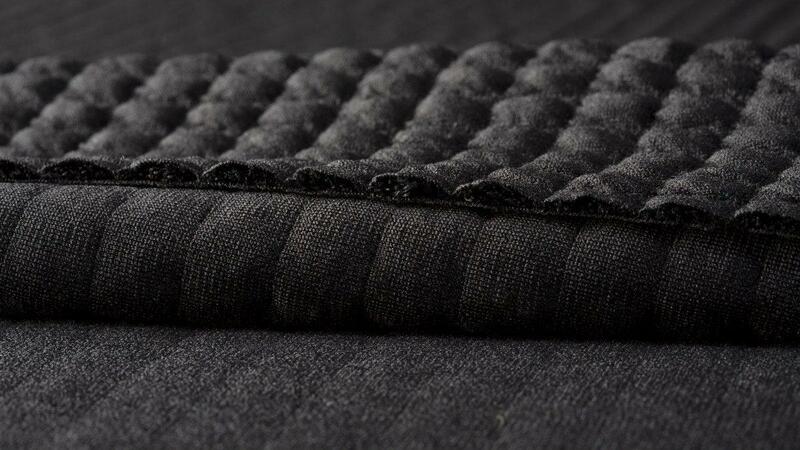 The initial release features an internal grid structure on one side not unlike ‘fabric bubble wrap’ which simultaneously holds air and increases breathability, while the other side features a smooth, durable outer surface that resists pilling and minimizes drag. 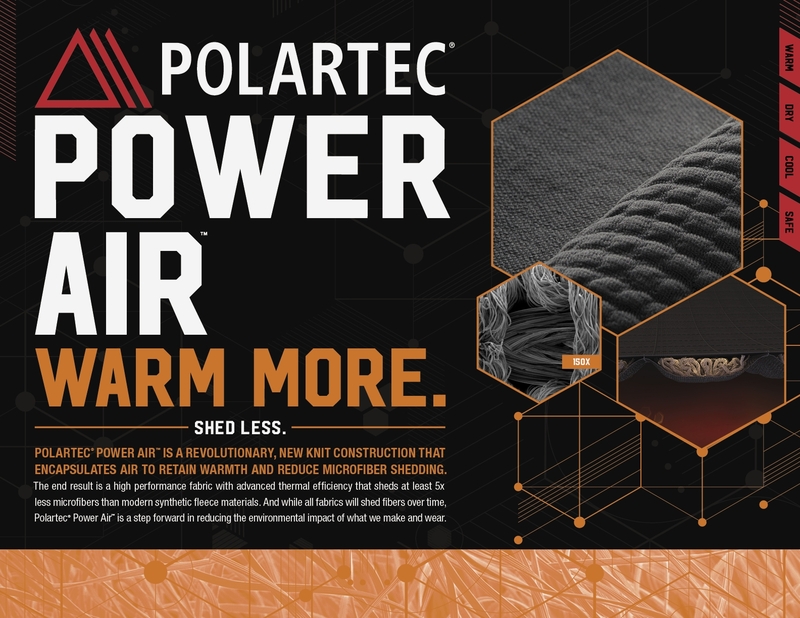 As the first fabric construction to encase air with a continuous yarn, Polartec Power Air is a foundational technology platform that will eventually provide shedding reduction to all existing apparel categories (including insulation, lightweight next to skin, and extreme weather protection). The innovation has recently gained recognition from the World Textile Information Network with its Future Textile Award for Best Innovation: Sustainable Textiles. Pioneers of eco-engineering sustainable fabrics, Polartec invented the process of knitting technical fleece from post-consumer plastic bottles in 1993, upcycling well over one billion bottles to date, and continues to lead the industry in offering fabric technologies made of recycled content. Earlier this year, Polartec introduced its 100% recycled Power Fill insulation that further reduces environmental impact by eliminating the need for wasteful and non-recycled carrying agents used in other insulation options. Initially for apparel, Polartec Power Air technology will be publicly unveiled by Polartec CEO Gary Smith tomorrow, November 29, at Performance Days in Munich Germany. The Polartec Power Air Hoody is now available from Adidas, with more brands including Houdini and Mammut set to release their own offerings in the coming months.